Toronto may be suffering an "undersupply" of rental units, thanks to soaring house prices. A new report has bad news for the half of Torontonians who rent their homes. The madness of the city’s housing market seems to have infected the rental market as well, with new data from an apartment portal showing median rents up nearly 30 per cent in just six months. If this keeps up, Toronto will replace Vancouver as Canada’s priciest rental city within several months. According to apartment search portal Padmapper, the median price for a one-bedroom apartment in Toronto is $1,780 this month, meaning half of all one-bedroom rental units are going for more than that, and half for less. That’s up from $1,370 last October, an increase of 29.9 per cent. Padmapper only began publishing data on the rental market last June, so a year-to-year comparison isn’t possible. But Toronto’s housing market is seeing price hikes well above any other markets in Canada, including pricey Vancouver. Still, other cities are seeing rapidly rising rates as well, though not at Toronto’s pace. 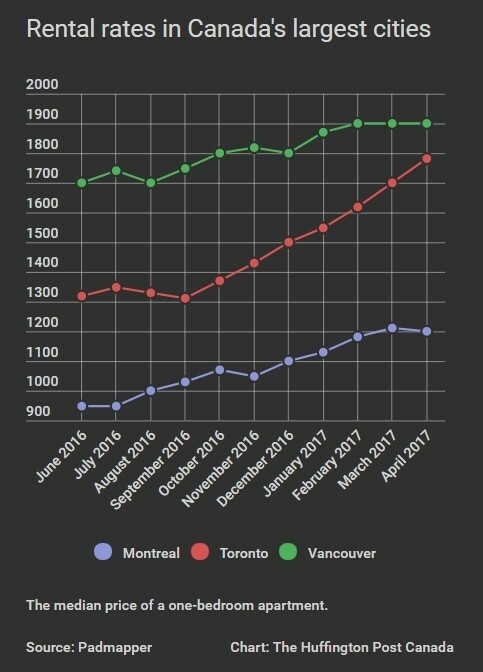 Montreal prices are up 12 per cent in six months, while rates in Vancouver are up 5.6 per cent. All those increases are well above income growth, which means affordability is worsening. Real estate consultancy Urbanation says rising rental costs are at least partly due to growing house prices. 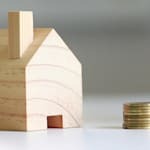 Many landlords are choosing to sell their properties, because sales prices are very attractive right now compared to rental income. The consultancy is warning of an “undersupply” of rental units in Toronto as a result. “More owners have become enticed to sell their units as opposed to holding onto them as rentals,” Urbanation said, referring specifically to the rental condo market. 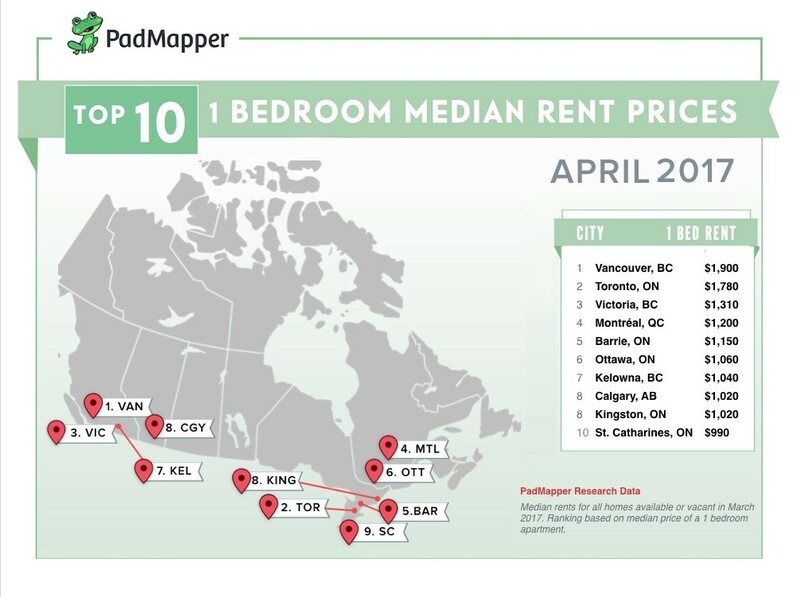 Here is Padmapper’s chart of the 10 most expensive rental markets in Canada in April.